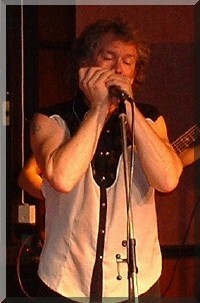 Billy C. Farlow was born in 1948 in the deep south of Alabama, and brought up in Michigan, where he joined Sam Lay's Blues Band. Sam Lay had been part of the Paul Butterfield Blues band, when the went down in history as the band who backed Bob Dylan when he first went electric at the Newport Folk Festival. In1967, Billy C. Farlow supplied the vital ingredient in a new band, the now legendary Commander Cody & His Lost Planet Airmen. An enduring memory of their great live performances was their triumph at the 1973 Reading Rock Festival, where they stormed through a set which amalgamated country, rockabilly, western swing and all points north. It wasn't what the Reading audience were used to, but it was probably one of the most exciting performances of the weekend. Rough, hip shakin', harp wailin', barely on the edge of control, Billy C. Farlow continues to boogie, shout and testify his way through rousing programs of his own material, showing the world that neither the years nor the miles have dimmed his fire and passion for performing, but rather have merely served to enhance it. 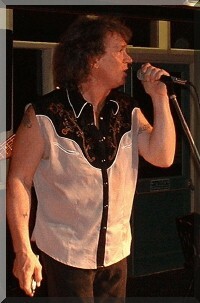 Right from his early days Billy C has never wavered from his musical convictions to "get 'em up and keep 'em jumpin'!"